The Ergon Amarante de Souza-Cardoso. Inspired by the portuguese painter Amadeo de Souza-Cardoso, born in Amarante and one of the most renowed modernist painters of his time. 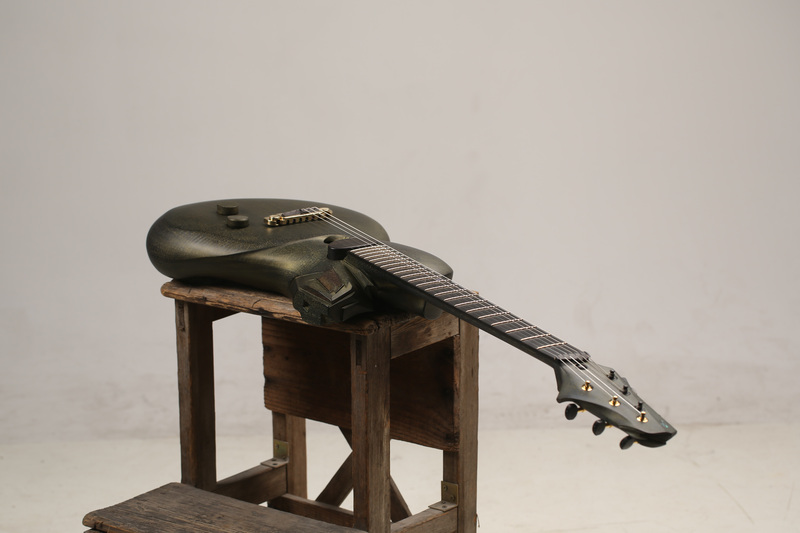 This instrument was part of a select group of pieces displayed by hand-picked luthiers from all over the world who showed their work in the Art Fair Tokyo 2019, under the curatorship of Daisuke Ushiku from atelier REZIKA. It was the first time that guitars were part of the exhibition, the biggest of it’s kind in Japan. Electronics by Simon Marx of Guitar Rehab Lisbon.